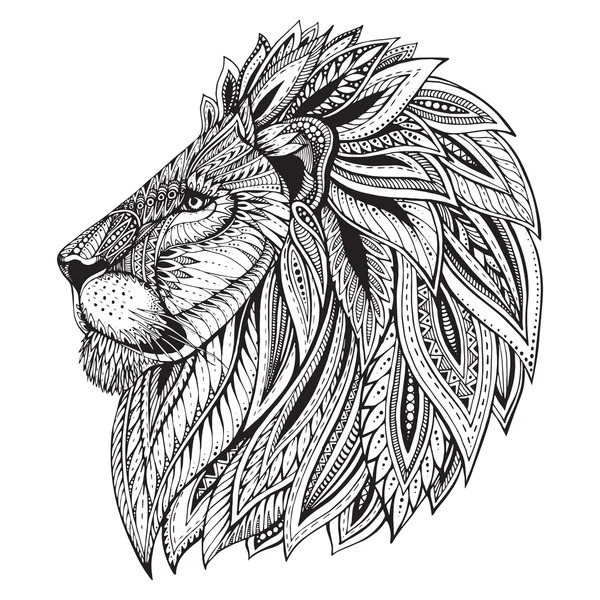 imagesthai.com royalty-free stock images ,photos, illustrations, music and vectors - Ethnic patterned ornate hand drawn head of Lion. Ethnic patterned ornate hand drawn head of Lion. Ethnic patterned ornate hand drawn head of Lion. Black and white doodle vector illustration. Sketch for tattoo, poster, print or t-shirt.